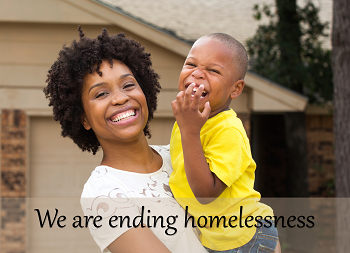 We are preventing and ending homelessness in America. Veterans, families and youth are among the 2 million Americans who experience homelessness each year. We're ending homelessness by helping local communities improve their programs, educating opinion leaders, advancing research and improving policy. Homelessness is one of our nation’s most misunderstood and vexing social problems. 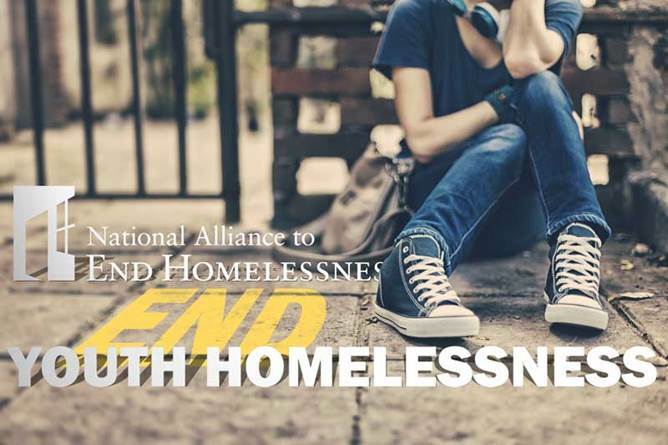 A gift to the National Alliance to End Homelessness (the Alliance), regardless of the size, demonstrates your interest in being a part of ending, not just managing, the crisis of homelessness in our country. Ending homelessness is an aspirational, but possible goal. And we know what works. Stable housing can end homelessness. What we need are the resources, public will, and support from community leaders to ensure that every person, child, and family has a safe and secure place to sleep at night. Moving forward, the Alliance will continue to advocate for and implement Housing First solutions to homelessness. Your support will help us move closer to a day when no one in America is without a place to call home. The Alliance exists to prevent and end homelessness in the United States. On a single night in January 2015, 564,708 people were experiencing homelessness — meaning they were sleeping outside or in an emergency shelter or transitional housing program. Many more are at risk of becoming homeless due to economic conditions such as unemployment and increasing housing costs. We know that the only way we can end homelessness across the country is by supporting and implementing effective and affordable policies that prevent and quickly end a person’s homelessness. • Building knowledge. We use research and data to discover what works to end homelessness and develop knowledge about these solutions. Our research arm, the Homelessness Research Institute (HRI), leads this work. • Improving policy. Based upon this knowledge, the Alliance educates opinion leaders and policymakers about solutions to homelessness and helps build strong policy in support of solutions, with emphasis on federal policy. • Building Capacity. To help communities improve their homelessness assistance programs, our Center for Capacity Building provides training and technical assistance to service providers in local communities. The Alliance helps improve policy, educate community leaders, and build strong and effective programs and systems. These are the most efficient ways to end homelessness across the country. By advancing policy at the federal level and training and educating homelessness systems in local areas, the Alliance is able to improve the lives of thousands of homeless individuals and their families across the country. The Alliance is the authoritative voice on homelessness and its solutions. We lead a network of over 10,000 partners who seek to solve the issue of homelessness in their states and communities. We host two of the largest conferences on ending homelessness, which offer opportunities for partners to come together and learn from both the Alliance and each other. We publish an annual State of Homelessness in America report, a trusted source of data and research. Government officials, the media, and other national and local partners rely on the Alliance for the newest data and innovative solutions to ending homelessness. The National Alliance to End Homelessness has contributed to the reduction of people experiencing homelessness across the nation. Over the last five years, homelessness has declined dramatically. The most progress has been made among veterans. 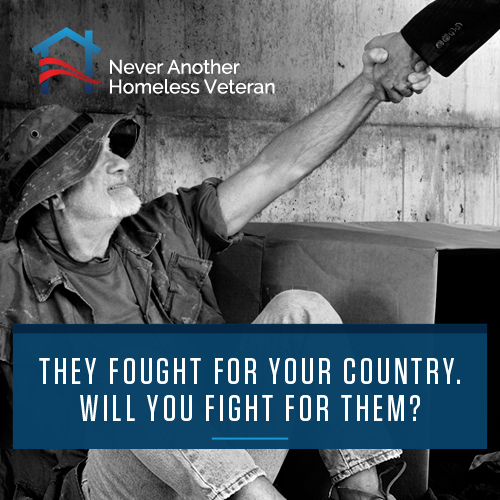 Homelessness among vets has fallen by 33 percent, and over 20 cities across the country have announced that they have ended veteran homelessness, including major cities like Houston, TX, Philadelphia, PA and Las Vegas, NV. The Alliance will use the lessons learned from this success to help end homelessness. We work hard to ensure that your gift goes directly to help end homelessness. Our commitment to efficiency has earned the Alliance honors from leading nonprofit watchdog organizations: A four-star rating from Charity Navigator and an A+ rating from the American Institute of Philanthropy. Over 96 percent of donations support our programs, while less than 4 percent is spent on administrative and fundraising expenses. For more detailed financial and programmatic information, donors can visit the Alliance website at www.endhomelessness.org to view our most recent Annual Report and 990 Tax Forms. The Alliance works every day to ensure that no child, family, or parent is homeless. No person who served our country should be left out in the cold. Homeless youth face unique challenges and vulnerability. Ending youth homelessness is a top priority.